Height: 3 5/8", Diameter: 2", Handle Length: 2 1/2"
This brass tea bell is highly polished and attached to a beautiful oak handle. The small design is similar to vintage tea bells used for calling servants and guests. The bell has a sweet, light ringing tone. 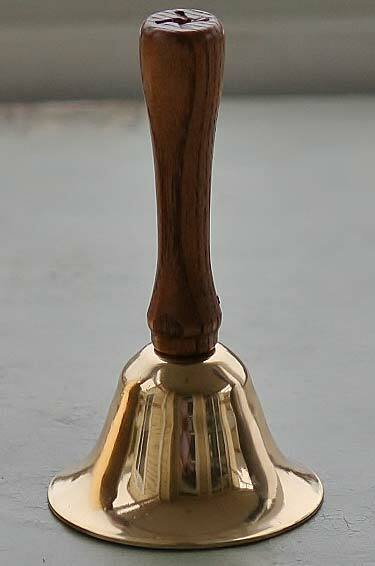 This is another quality hand bell, made in America.